If you’re after a midsize sedan that sticks out of the crowd and offers you with the best bang for your buck, then a Certified Pre-Owned Hyundai Sonata is the car for you. At Jim Burke Hyundai in Birmingham, AL, we have a large selection of Certified Pre-Owned vehicles at amazing prices. As one of Alabama’s premier Hyundai dealerships, we proudly serve Hoover, Tuscaloosa, Talladega and Jefferson County, AL with Certified Pre-Owned vehicles at great prices. Stop by Jim Burke Hyundai at 1424 5th Ave. N. and check out a Certified Pre-Owned Sonata today. Unlike other used cars on the market today, Certified Pre-Owned Sonatas undergo a thorough test before receiving the Certified Pre-Owned moniker. All Certified Pre-Owned Hyundai models have less than 60,000 miles on them and are less than six model years old. Our skilled technicians conduct a 150-point inspection on each Certified Pre-Owned Sonata and each vehicle comes with a CARFAX Vehicle History Report. Parts that don’t meet the technicians’ approval are replaced with authentic Hyundai parts. Hyundai’s Certified Pre-Owned Program has won IntelliChoice’s Award for numerous years. To give you added peace of mind, Certified Pre-Owned Sonatas come with a 10-yr./100,000-mile powertrain limited warranty, 10-years of Roadside Assistance, as well as anything remaining on the New Vehicle Limited warranty of 5-yr./60,000-miles. With its incredible warranty, a Certified Pre-Owned Sonata will give you the confidence to use the vehicle everyday. Getting into a Certified Pre-Owned Sonata has never been easier. With a talented staff, we’ll work with your credit score to get you into a vehicle today. Our website has a 30-second online application that will allow you to see what kind of loan we’d be able to get you. We also have a payment calculator that will give you a rough idea of what your monthly payments would be. Even if you don’t have a stellar credit score, we’ll get you a loan that works for you. A Certified Pre-Owned Hyundai Sonata provides you the same benefits as a new vehicle, but at a much more affordable price. 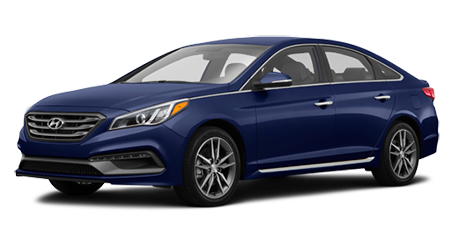 With Hyundai’s Certified Pre-Owned program, you can get into a lightly used Sonata that features an extensive warranty for you to use every day. Visit Jim Burke Hyundai in Birmingham, AL at 1424 5th Ave. N. and explore a Certified Pre-Owned Hyundai Sonata today.